This original Painting ﻿`Tree in Park. 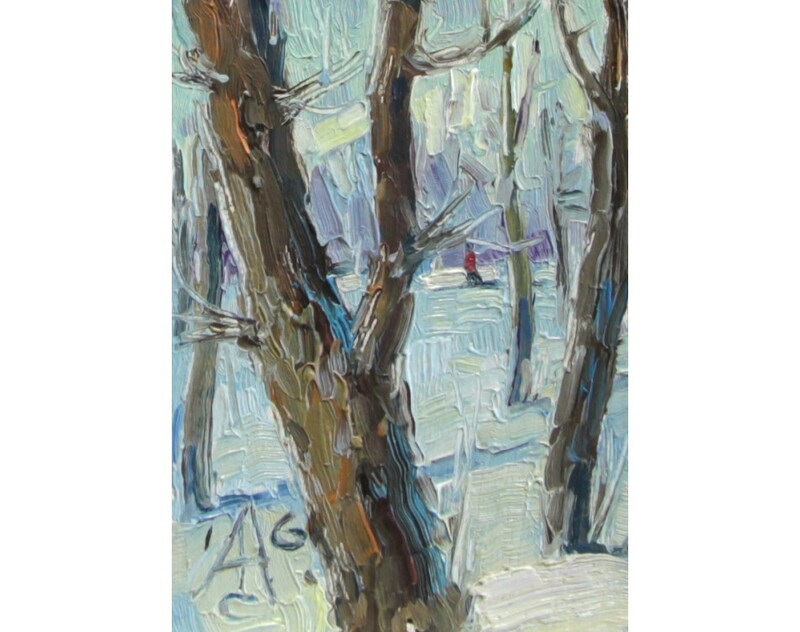 ACEO` by a Russian artist Sergey AVDEEV, is done in oil on cardboard. This Landscape was created in Realism style. What is an ACEO. 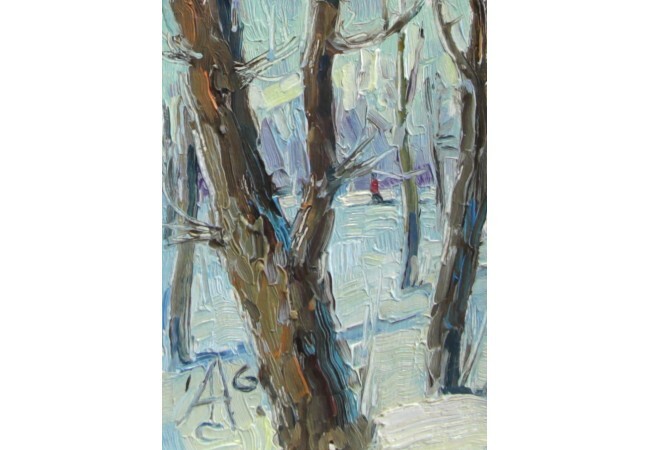 ACEOs are miniature pieces of art that measure 2-1/2" x 3-1/2". 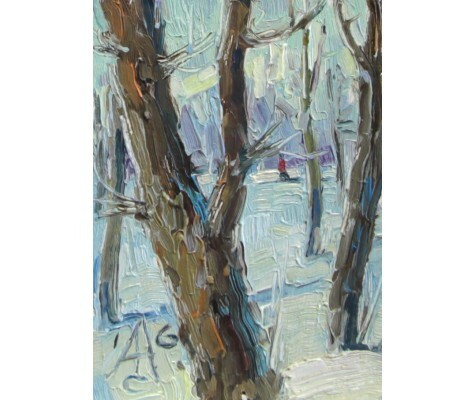 If a small piece of art has different measurements than this, it does not qualify as an ACEO. The acronym "ACEO" stands for Art Cards, Editions and Originals. They can be original art, print editions or photographs. The majority of ACEOs are two dimensional, but three dimensional elements may also be incorporated. 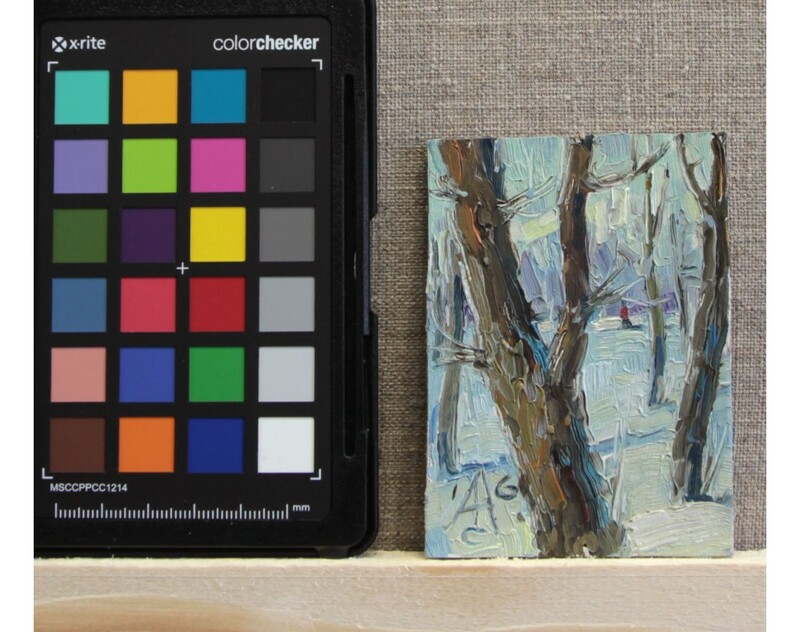 Pop-ups, books, collages, and sculpture can all be ACEOs as long as they measure 2-1/2" x 3-1/2"! ACEO history. ACEOs stemmed off of Artist Trading Cards (ATCs), an idea developed by the artist M.Vänçi Stirnemann. He based the size of ATCs on sports trading cards. ATCs can only be traded or given away. Their purpose is to share art and to encourage creative exchange between artists. 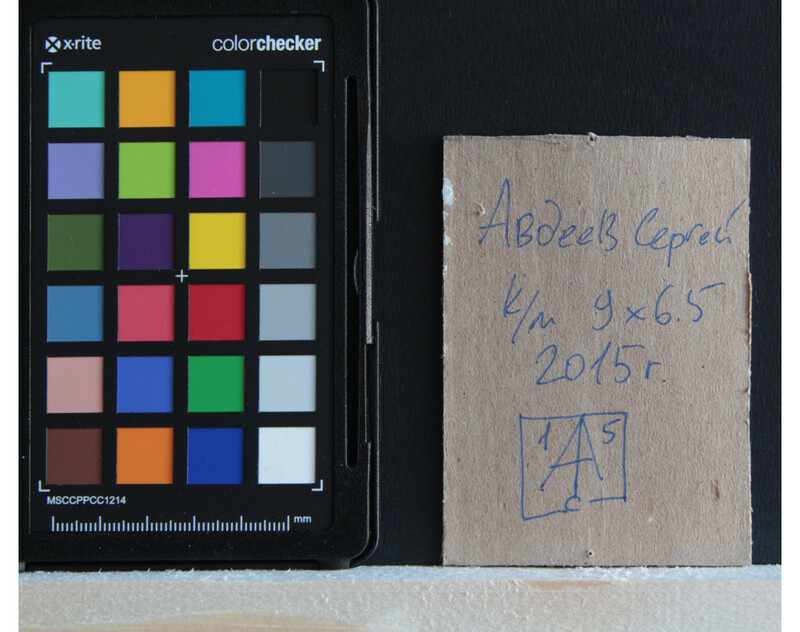 Like ATCs, ACEOs may be made with any media, material, or method as long as they measure 2-1/2" x 3-1/2".